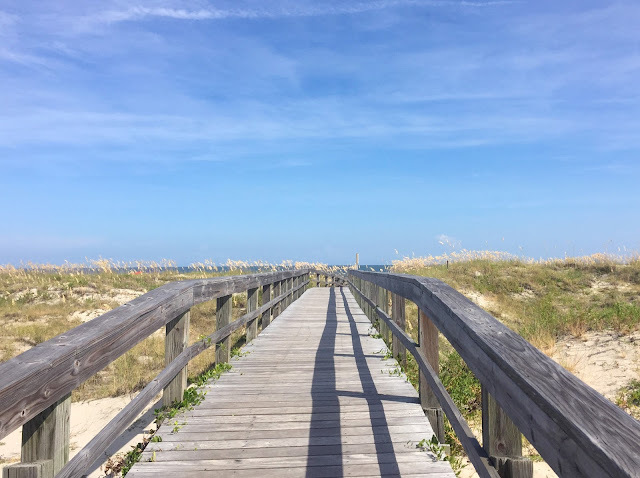 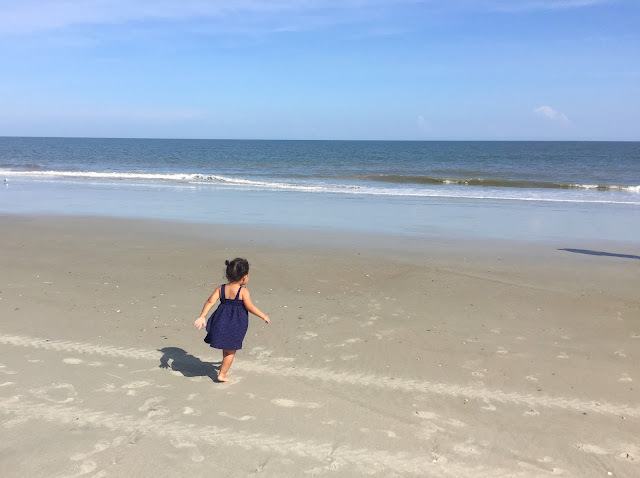 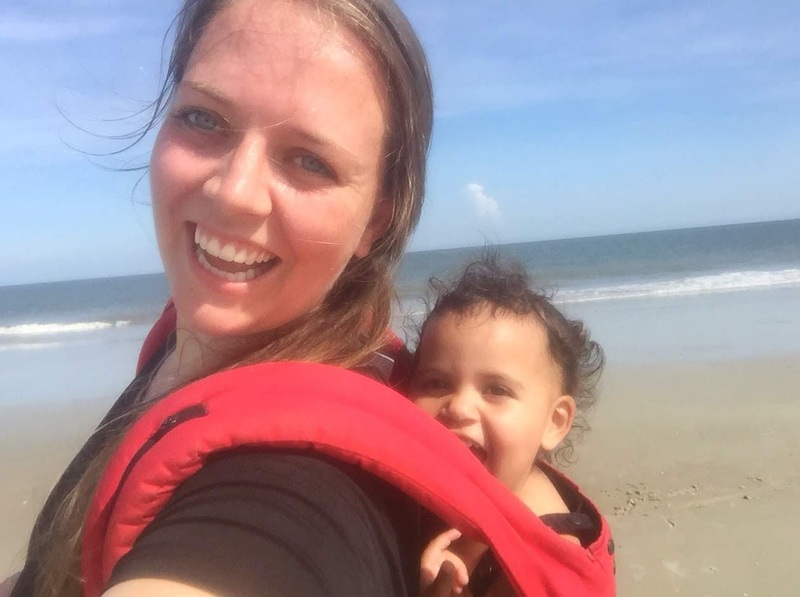 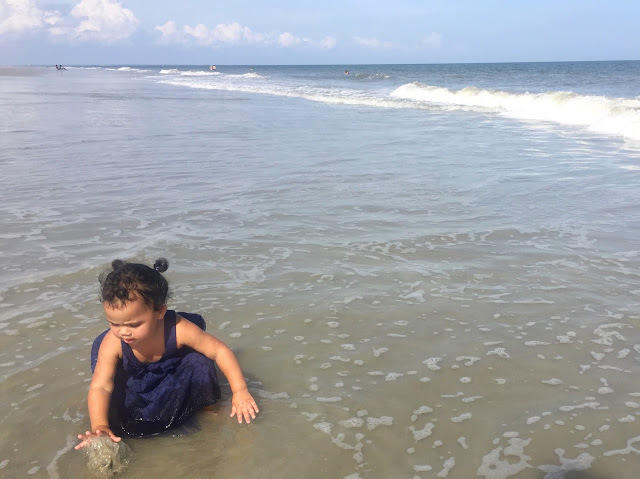 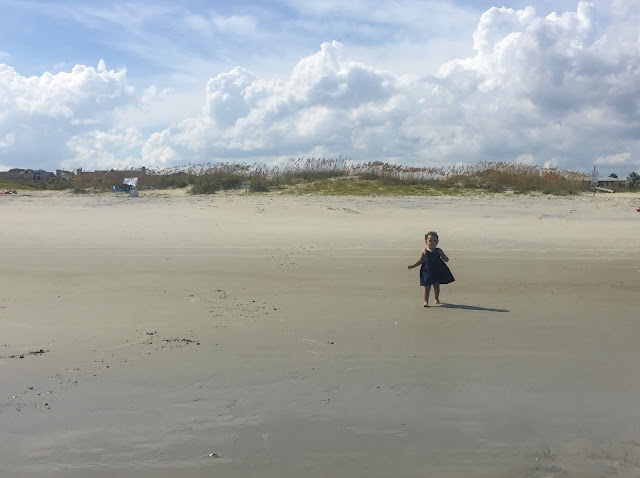 During some free time during our trip to Savannah last week, I took a little walk on the beach with Ida. 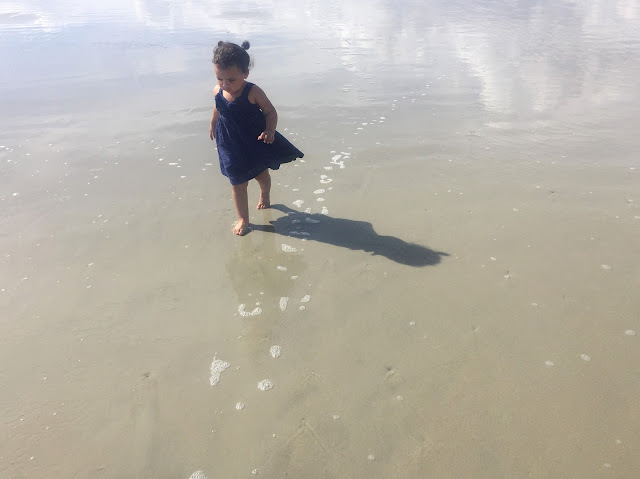 I was hoping to get Cora to come with us so I could take some sister pictures, but she was too busy playing with her cousin. 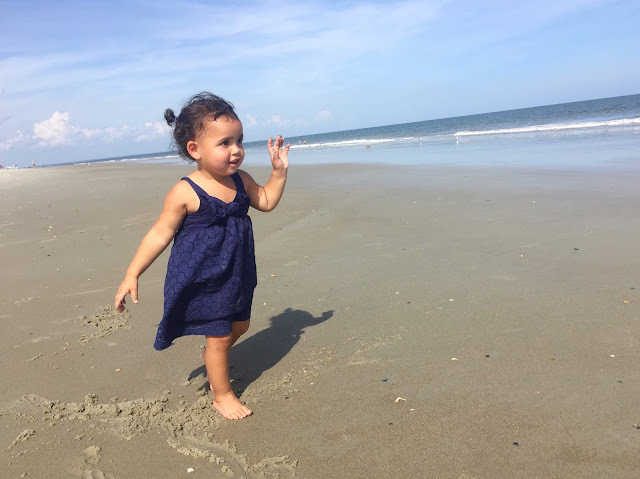 Good thing Ida is always up for adventure! 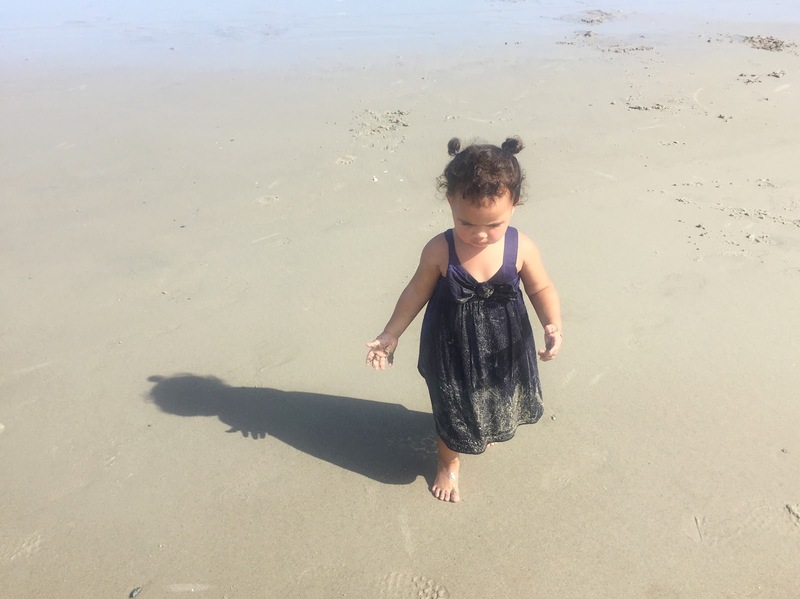 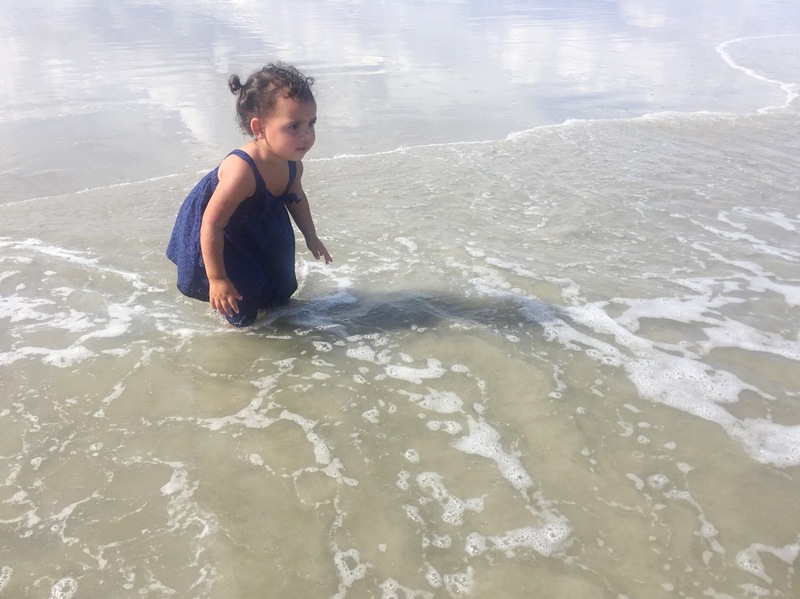 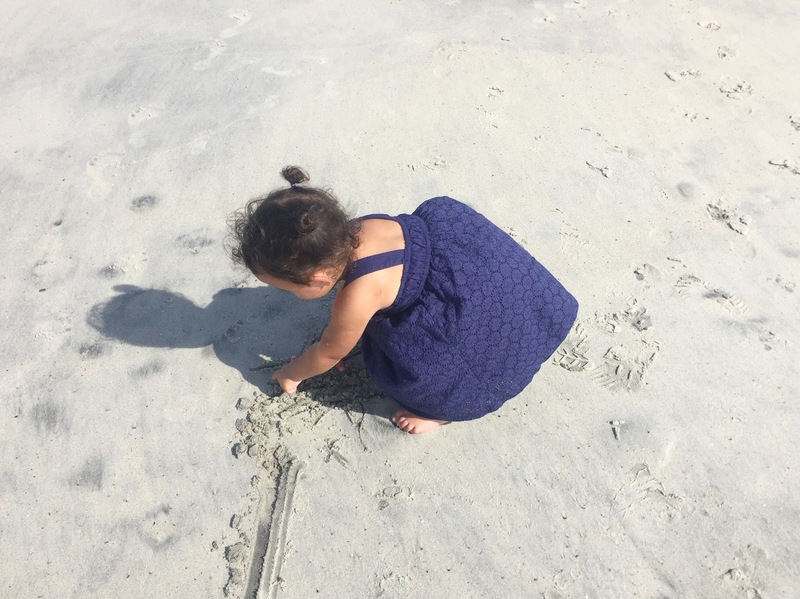 Ida was timid putting her hands in the sand because she was fully dressed. 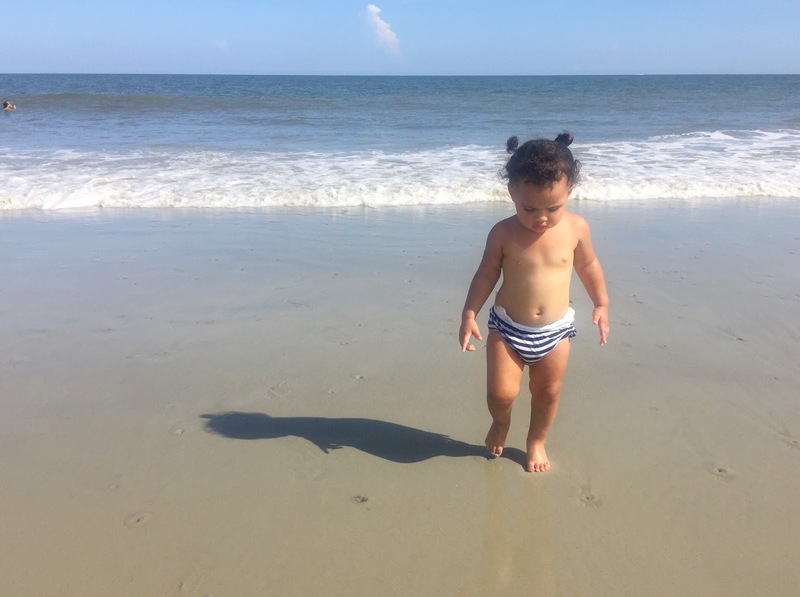 She warmed up and was running all around the beach... until she completely bit it in wet sand. 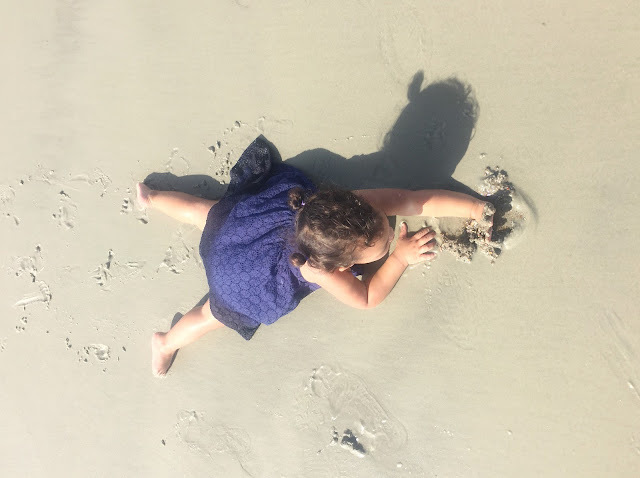 She laid there for probably two minutes then slowly started digging her hands in the sand. 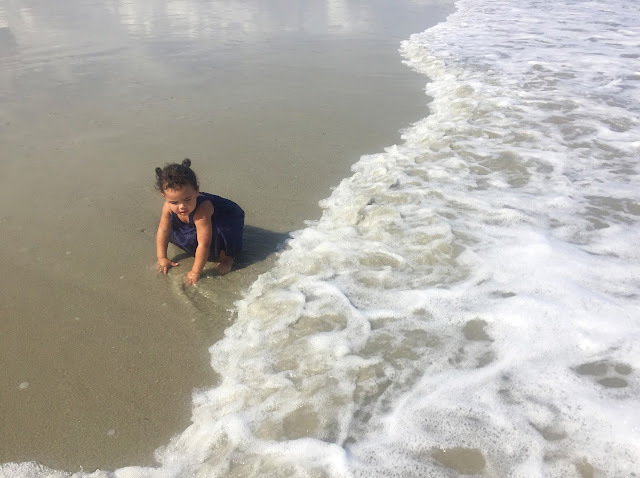 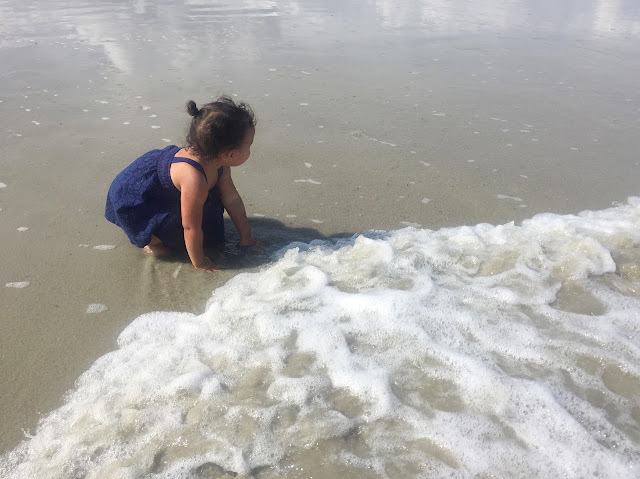 At that point she was already wet and sandy, so she had no problem going into the waves to try and wash off her hands. 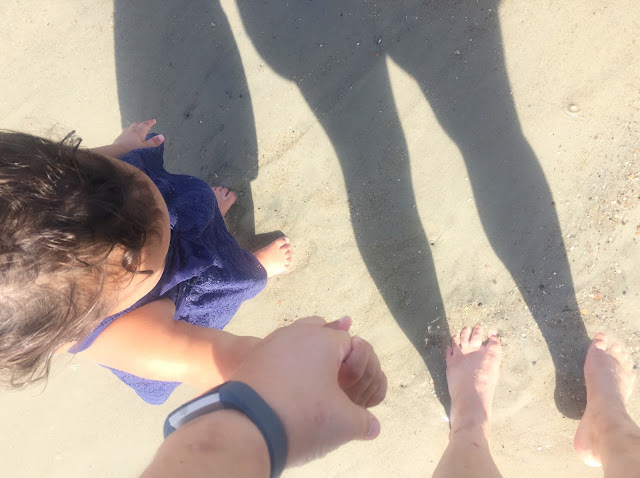 We had the perfect little walk on the beach. I got to spend a lot of one-on-one time with Ida during this trip and I love that I have these pictures to remind me of our little date.